Old MacDonald had a… makeover! Aloha Baby Designs create gorgeous children’s wall art by taking traditional children’s art themes – numbers, alphabets and nursery rhymes – and giving them a funky modern makeover. 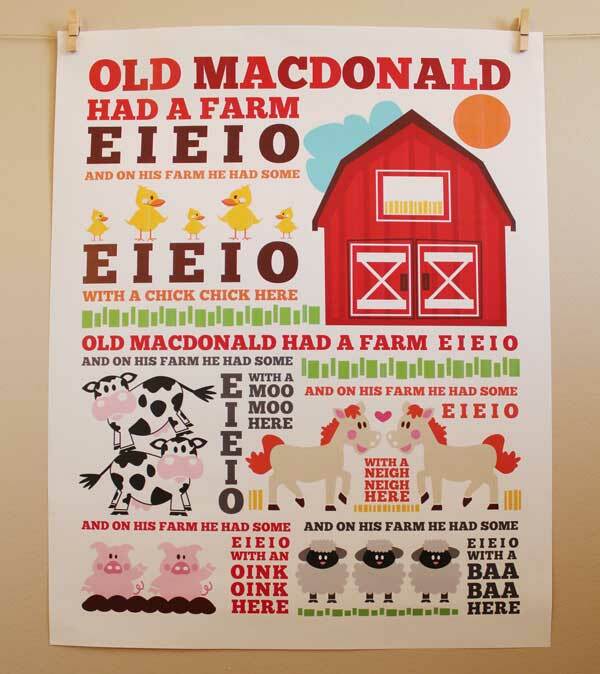 A long time favourite, Old MacDonald Had A Farm, gets a new lease of life in this gorgeous modern Old MacDonald Nursery Rhyme poster (US$33, pictured above). The use of bold colour and even bolder typography makes it a spectacular fit for any style decor. My favourites (yes I have two!) 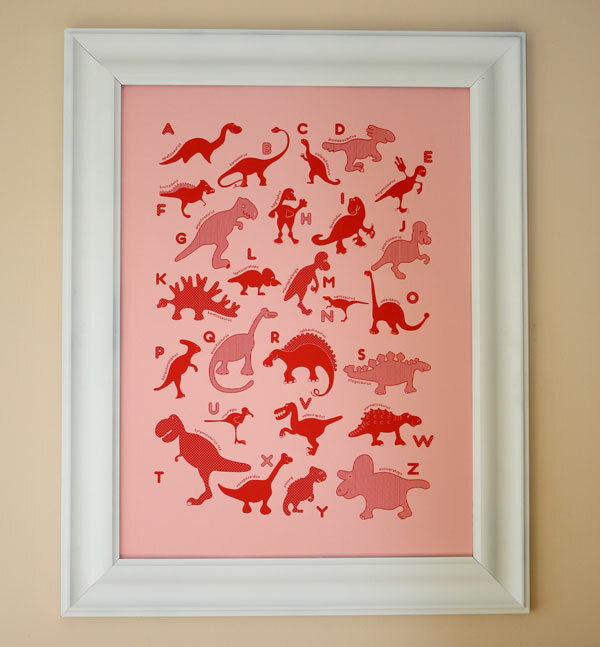 are the pink Dinosaurs ABC poster (US$45, pictured below) and the art numbers series. I’m not usually one for the whole ‘pink is for girls’ notion, but many others are and I love that dinosaurs have been given a bit of a feminine touch! The dinosaur print also comes in yellow and blue if pink isn’t your scene. With the Kids Art Numbers prints, each numeral is formed using tiny original illustrations which beg you to look closer. Priced at US$14 each, they’re a great decorating buy. Alternatively, a 1-2-3 Series is available for US$33. For more gorgeous nursery prints head on over to Aloha Baby Designs, where shipping to Australia is available for very reasonable rates.